Annual fee: Some cards charge an annual fee – anywhere between $15 and $50 – while others may not. Check to see which ones do and if their annual fee still makes smart financial sense to you. Grace period: Most credit cards offer a 25-day time period for you to pay off your total balance without paying a finance charge. The grace period runs from the date printed on the bill, not the date you receive it or the date you make a purchase. APR/interest rate: The APR or interest rate is the percentage of interest you’re charged on the balance you carry on the card and cash advances. It can either be fixed or variable. A fixed rate APR is usually higher, but you’ll know what to expect for the year. A variable rate is typically lower, based on an interest rate that swings up and down. Introductory rate: Some cards offer a super-low introductory rate that will later switch to a higher fixed or variable rate. Make sure you know how long the introductory rate lasts and what the new rate will be. The introductory rate is often terminated if you send a late payment. Other fees: These include fees for paying late, charging over your limit, and getting a cash advance. Make sure you read the cardholder agreement, which discloses these charges. 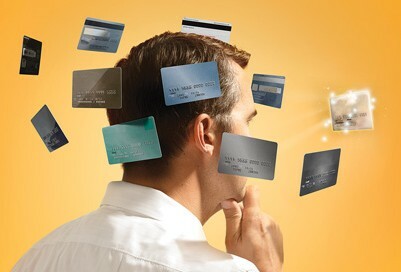 Other Rewards and Benefits: Many cards now offer added benefits, like rebates, discounts and/or frequent flyer miles. With these cards, find out how many dollars equal a free ticket, etc and if you will actually use these types of rebates. Payback Time: If you plan to pay your credit card bill in full each month, look for a card with no annual fee & a generous grace period. If you think you’ll carry a balance, then the important thing is a card with a low interest rate. Be a smart consumer and shop before you buy.